It seemed fitting that on the week that David Bowie left us to become a star in the night sky, the 2016 Jazzgroove Festival should open with the spacey starman-scapes of Alon Islar’s ensemble, The Sticks. Kicking off Friday night’s Foundry 616 triple bill, The Sticks – drummer Islar with keyboardist Daniel Pliner and bassist Josh Ahearn – followed Alon’s mission statement, “We’re going to improvise for 45 minutes…” with a ton of imagination and a galaxy of verve. Built around Islar’s curious but astonishing invention, the AirSticks (in its simplest form: two hand controllers linked to laptop samples) the group made music – as all good jazz should be – literally out of the air. Special guest, guitarist and polymath Ben Hauptmann sat right inside the Sticks’ orbit, blending with their space-scapes, moving with their funk, clicking and clacking with the more motorik beatz, talking their talk and walking their walk. Beautiful stuff; the 45 minutes passed in a wink, leaving us (me) wanting more. This year’s Festival program was put together smartly by Jazzgroove to get all the flavours of jazz rubbing up against each other and to pleasantly jolt by contrast. And so, the electro-funk of The Sticks was followed by The Cooking Club – tenor player Michael Gordon’s tough acoustic jazz quartet. The contrast could not have been more thrilling – and yet something was missing. The last time I saw The Cooking Club was after they launched their pretty fantastic CD High Energy Jazz from the Sydney Underground. The format was the piano-less quartet of Gordon on tenor, Finn Ryan on drums and Tom Wade on bass, with Ken Allars’ trumpet putting the Cherry on Gordon’s compositions. Tonight the trumpet of Allars was replaced by Andrew Bruce on piano and its chords, sharp as they were, led to the music losing part of it’s Ornettey orneryness, it’s skinny rawness – at least to my ear. They still grabbed me though – the opener (also the CD’s opener) ‘Big Job’ bristled with energy – which is what this band does so well. Closer ’Comedown’ had Gospel handclaps and Gordon summoning the ghosts of Albert Ayler’s ‘Ghosts’ in his throaty sermon. 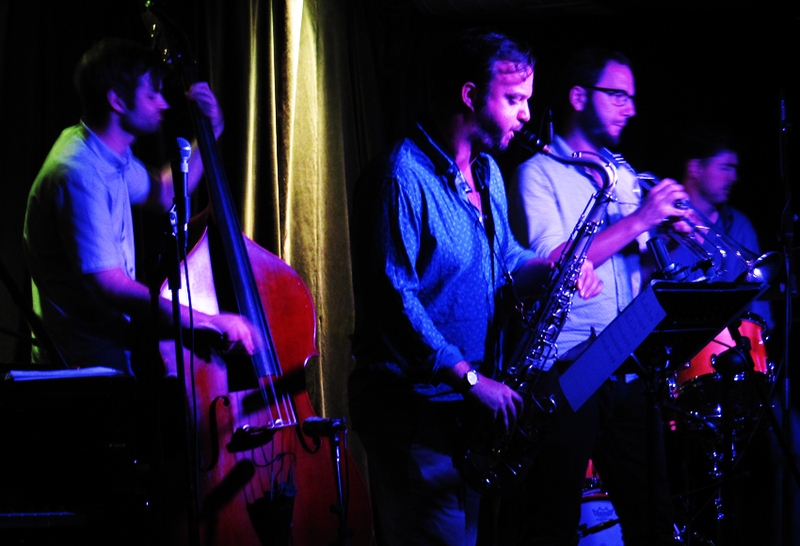 Closing the night – and contrasting equally vividly with what had come before – was the much-anticipated performance of Lekker, Guitarist/composer Ben Hauptmann’s jazz-rock-reggae-bluegrass-funk-jazz septet. Built over the pulse and groove of James Hauptmann and Evan Mannell’s drums and percussion and James Haselwood’s bass, the group had Hauptmann shared guitar duties with Arne Hanna. Harry Sutherland and Dan Junor on piano and alto completed this astounding ensemble. Hauptmann’s musical vision has always confounded any expectations (what is it about guitarist/composers? ); tonight it put a grin on my face that he opened with a fleet bluegrass breakdown. Moving through compositions from both his Benjamin Hauptmann and Lekker albums, the band ate up all grooves – reggae, funk, West African 6/8, rock. Hauptmann’s solos, all held fire and cool chromatic sparks, contrasted beautifully with Arne Hanna’s more greasy, blues-accented touch. Hanna’s solos throughout were each a mini-masterclass on shaping and pacing a solo (young hotheads take note!). Sunday, Foundry 616 again and the sunny Ollie McGill trio. James Hauptmann (drums) and Jon Zwartz (bass) making McGill’s Tunes – vocal and instrumental – really spark and catch. After a rockin’ opener they were into the intriguing ‘Fishy’, alternating between a Latin groove and heavy funk, the trio at ease with the two different tempos and grooves. Vocal piece ‘Constancy’ was a good-hearted Dr John funk groove. McGill’s vocal, while not the most arresting, proved to me (again) that composers often do their own tunes the best justice, on an emotive level. Closer ‘Let The Wind Blow’ reminded us, yes, this was Sunday: spreading sweet Gospel tones and a hushed hallelujah over Foundry 616. 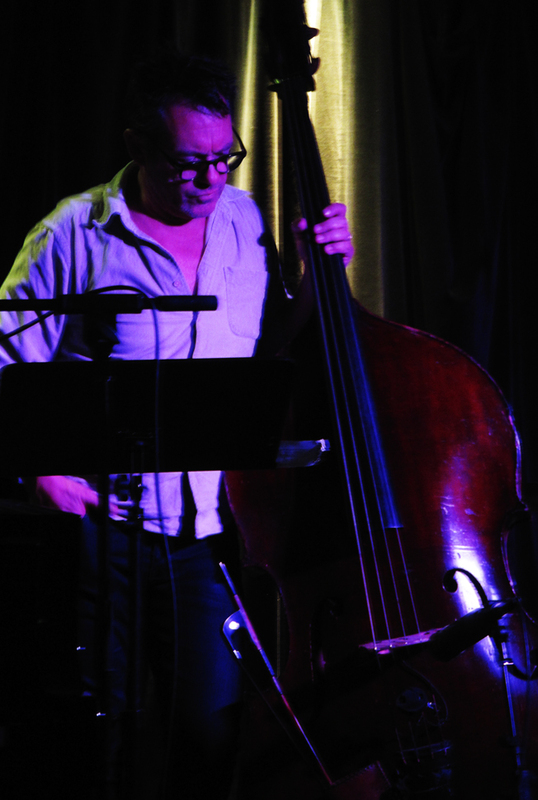 I had really looked forward to seeing bassist/composer David Groves and his ensemble – a new voice is always a reason to be cheerful. 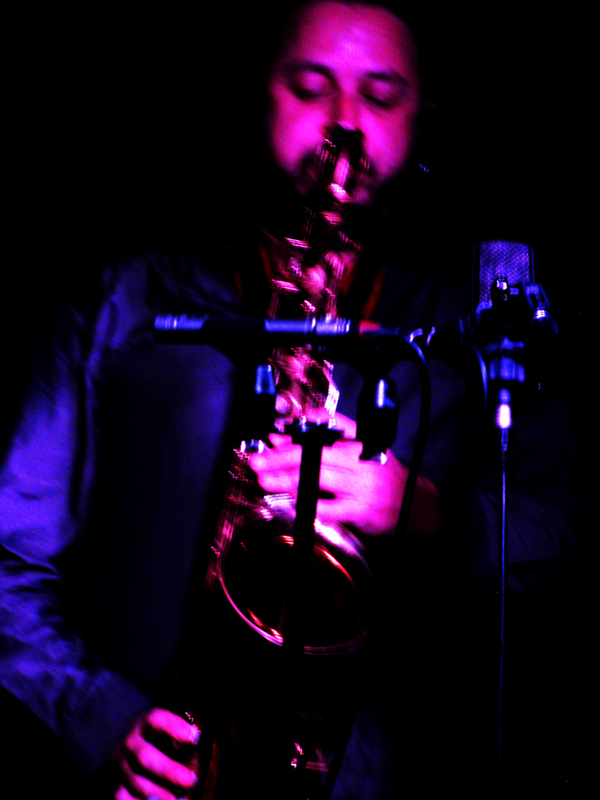 Groves himself thanked Jazzgroove for giving young composers such as himself a platform and an audience for his compositions. And his compositions were worth it – unique, nicely conceived, all intriguing and testing vehicles for blowing. And yet his set was, to me, in part let down by a lack of cohesion in the group. Groves and Sydney’s tallest drummer, Cameron Reid often got the groove flying, and pianist Steve Barry did his usual elegant and harmonically shrewd thing. But the horns of tenor Scott Kelly and Simon Ferenci on trumpet rarely gelled and a general lack of forward motion seemed to hamper the band. The classic hard bop quintet format – rhythm plus two horn front line – can be the most thrilling in all of jazz, but tonight Groves’ ensemble never seemed to give themselves the chance to blaze and thunder. I hope – no, I know – next time they will knock my socks off. The twin crown of the 2016 Festival was the David Ades tribute performance by Zac Hurren and Julien Wilson. 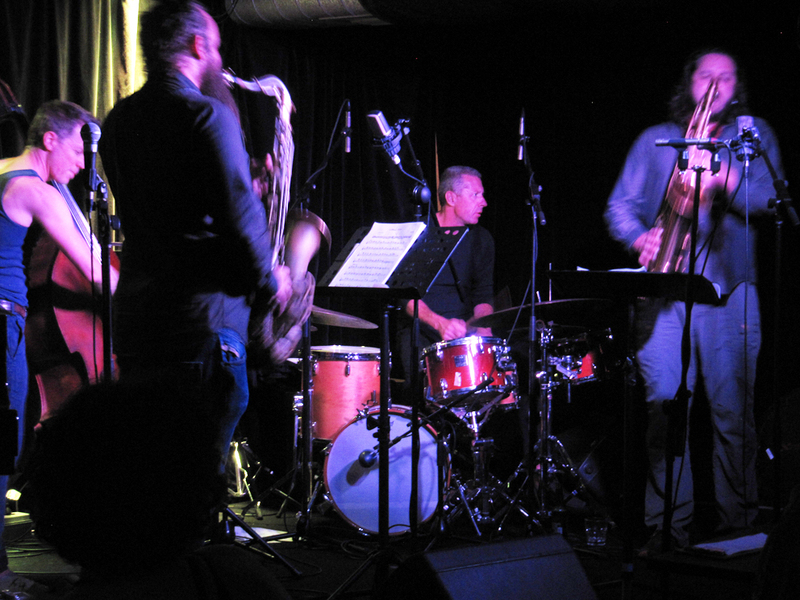 As part of a national tour to perform and celebrate the music of Melbourne’s brilliant and influential alto player and composer, David Ades, the two tenor colossi took the stage with Cameron Undy (bass) and Simon Barker (Drums). After a few words from Hurren, welcoming us to the festival and their performance, they proceeded to incinerate our minds with the sort of white heat that only jazz can cook up. In the car on the way home later, the phrase ‘music made in the moment; music made for the moment’ swam into my mind. This was a performance that stopped time or rather, pulled and twisted and melted time into new and phantastic shapes. The two tenors faced each other across the stage and blew each others minds whilst blowing ours. No juvenile ‘cutting’ contest, this was as Trane and Pharoah spoke: heading up and out for joy. Opening with Ades’ ‘La Ripaille’ the joy flared up like lust: Barker and Undy began pouring on the energy which never let up the entire set. The rest of the set was drawn from Ades’ lovely posthumous release ‘A Day in A Life’. Hurren’s tone was rounder and more full-bellied, with fat dollops of the blues in his lower register and a woman’s loved cry at the top. Wilson’s voice was bright and sweet and riven through with lightning and other storms. Both players swooned as the other played, digging each other, meshed in mind and soul-spirit. It was not all fire, brimstone and lava: Hurren and Undy’s measured and relaxed take on Ades’ ‘Arco and Alto’ had a suspended loveliness, reminiscent of Charles Mingus’ ‘Eclipse’ – a breeze from another planet. The set closer, ‘Removab’ built and built until we were all spent. Spent and blasted into joy. Zac Hurren walked around the venue afterwards, personally thanking everyone for coming. As I shook his hand, I told him he had to be the happiest man in Australia. “Yeah! I am happy!” he beamed. After that set – indeed, after what may be the last ever Jazzgroove festival – we were all pretty happy. As happy as Zac Hurren. And that’s happy.